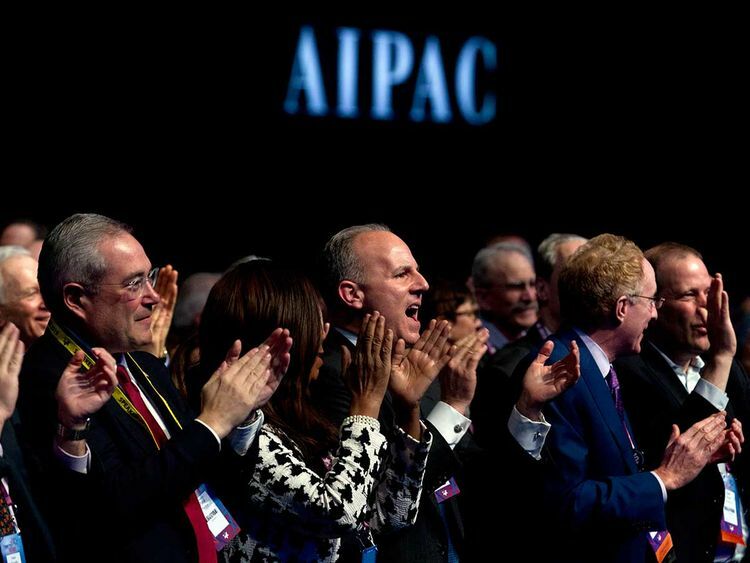 The lobby circus came to town once more as thousands of Zionists and their supporters descended on Washington DC on March 24, to attend the American Israel Public Affairs Committee (Aipac’s) policy conference. Typically, the influential Zionist lobby group’s three-day event is a platform for lies and deceit — a reverberating celebration of the ill-conceived sense of racial superiority of Israeli Jews over Palestinian Arabs. What makes the conference particularly important, however, is the fact that it is a stage for hundreds of US government officials, congressmen and women, ambassadors and a long list of celebrities who are expected to pay blind allegiance to the state of Israel, its far-right government and its violent military occupation and suppression of the Palestinian people. Aside from the reasons behind Aipac’s power and the various messages it aims to send through this bizarre display, its annual conferences epitomise the essence of Zionist immorality and the growing American subservience to Israel. In these conferences, there is no moral code or legal frame of reference that matter. The crux of allegiance is acquiescing to whatever suits Israel’s needs and expectations. On Aipac’s podiums, few urge the respect of international law, the honouring of Palestinian human rights, or any suggestion that racism, racial segregation and apartheid are not the answer. But Aipac is still keen on making Americans believe that it is an organisation that aims to protect US interests as much as those of Israel, and that its advocacy on behalf of Israel is driven by shared “core values”. In fact, this very term, “core values”, was used in an Aipac statement only recently in response to the admission of the far-right political party, Otzma Yehudit or “Jewish Power”, into the general elections race in Israel. “The views of Otzma Yehudit are reprehensible. They do not reflect the core values that are the very foundation of the State of Israel,” Aipac tweeted at the time. But, if Aipac’s rejection of Otzma Yehudit is sincere, why is it that its annual policy conferences are guided by the very racist notions espoused by “Jewish Power”? On March 9, Israeli Prime Minister Benjamin Netanyahu declared that Israel “is the national state, not of all its citizens, but only of the Jewish people”. Not only was the Israeli leader’s undisguised embrace of racism and apartheid not rejected by Aipac, but also, Netanyahu, as has been the case for over a decade, was the featured speaker in its conference. Unable to join the conference in person due to the decision to cut short his trip to the US, the Israeli leader joined the fanatical Aipac audience via satellite. In his speech, Netanyahu bragged about bombing Gaza at a scale not seen since the massive and deadly war in 2014. Israel is “prepared to do a lot more,” he said to a cheering audience. Hundreds of Gaza homes were destroyed or damaged in the latest round of Israeli strikes, leaving many homeless. But that is of no concern to Aipac members who were enthralled by Netanyahu’s vow that “Israel will do whatever is necessary to defend our people”. By “our people”, Netanyahu was, of course, referring to Jews everywhere, for Israel’s warped sense of identity makes it possible for Jews to “return” to Israel, while the indigenous Palestinian inhabitants of Palestine are either denied their right of return to their historic homeland or oppressed, denied freedom and their rights at home. “Israel will always be a democracy, just as Israel will always be a Jewish state. Israel is the home of all Jewish,” Netanyahu told Aipac. This ‘unique’ political model, to say the least, of democratic yet racist apartheid which Israel wholly embraces, is rejected by most United Nations members and also accepted in the United States. David Friedman, the US ambassador to Israel, had no qualms with Netanyahu’s or any other extremist rhetoric at the conference. That should hardly be surprising, considering that the once-bankruptcy-lawyer, still refers to the West Bank by some biblical designations, “Judea and Samaria”. Friedman promised Aipac supporters that US President Donald Trump will continue to pursue a “peace accords” without forcing Israel to relinquish any land to the Palestinians. “Can we leave this to an administration (in Washington) that may not understand the need for Israel to maintain overriding security control of Judea and Samaria and a permanent defence position in the Jordan Valley?” he asked. “For the first time in 2,000 years, Jerusalem has become a dynamic and prosperous city fully open to worshippers of all three faiths,” Friedman said about Jerusalem, a militarily-occupied city in which Palestinian Muslims and Christians are besieged and denied basic human rights. Friedman’s rhetoric is almost identical to that of Netanyahu or any other Israeli official. But if this marriage of political discourse suits Israel well, and it does, Americans should be very alarmed that their country now shares the same “core values” with a racist, militant, apartheid regime. And they have Aipac to thank for that. Ramzy Baroud, Ph.D, University of Exeter, UK, is a Non-Resident Scholar at Orfalea Centre for International Studies, University of California Santa Barbara.